You’ve heard of firewalls, but what are they really for? Do they stop viruses? Can you manage without one? Actually, there’s a good chance that you are using a firewall right now — if your computer is running a modern operating system, there will be one built in, or else your security suite features a firewall. But what is it for? And can you get by without it? Keep reading for reasons why you do, in fact, need it. First of all, let’s look at what a firewall actually is. You need to understand that there are no flames, no spark, no fuel of any kind involved, whatsoever. A firewall is a barrier or shield that is intended to protect your PC, tablet, or phone from the data-based malware dangers that exist on the Internet. Data is exchanged between your computer and servers and routers in cyberspace, and firewalls monitor this data (sent in packets) to check whether they’re safe or not. This is done by establishing whether the packets meet the rules that have been set up. Based on these rules, packets of data are accepted, or rejected. One of the worst things that could happen to your computer is if someone attempts to take control remotely. Seeing the mouse move around on your monitor as a remote intruder usurps your digital kingdom, assuming control of your data, is petrifying. With a correctly configured firewall (and a modern OS) you should have remote desktop access disabled, thus preventing hackers from taking over your computer. Note, however, that this does not block the remote control apps used by the Windows tech support scammers Anatomy of a Scam: The "Windows Tech Support" Con Examined Anatomy of a Scam: The "Windows Tech Support" Con Examined They're constantly on the prowl: cold calling scammers claiming to be from "Windows Tech Support". We were targeted by one of these con artists and here's what happened. Read More . 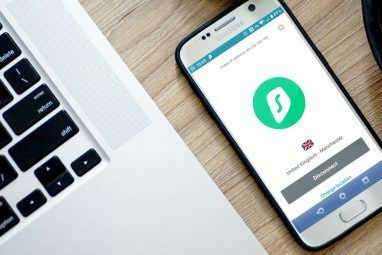 These are browser-based, and as your browser already has permission to route data through the firewall, you’ll continue to be susceptible to this particular risk, so remain vigilant! 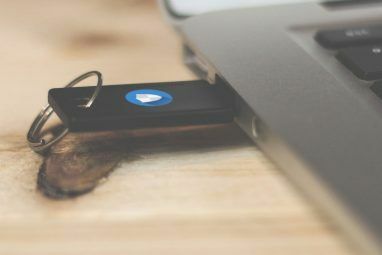 Illegal copies Windows found on the Bittorrent networks The MakeUseOf Guide to File Sharing Networks The MakeUseOf Guide to File Sharing Networks Have you ever wondered what are the biggest file sharing networks out there? What are the differences between BitTorrent, Gnutella, eDonkey, Usenet etc.? Read More often come with malware (Trojans, keyloggers, backdoors) preinstalled in the disk image. If you’re running one of these, even with a firewall installed, you’re likely to have security issues. Understand also that firewalls block access by apps — perhaps software that you trust — from unauthorized Internet access. Yes, there are still people out there running Windows XP Windows XP Security Risks: They're Real And Heading Your Way In 2014 Windows XP Security Risks: They're Real And Heading Your Way In 2014 Given the extensive coverage, you could easily think Windows XP end of support was just a hype. Sadly not. Without security updates, the aging operating system becomes a Trojan horse in your home or business. Read More . Worse, some of them are using XP without a firewall, and the built-in firewall is not — wait for it — enabled by default. You read that right. The Internet has a lot of bad code traversing the cyberspace, waiting to pounce on unprotected PCs. While your ISP can help prevent this, it’s unlikely that they’ll be able to long-term. Back when I got my first copy of Windows XP in 2004, it was literally a rush to enable the firewall following the automated CD-ROM setup of my dial-up Internet account from Tiscali U.K. before a Windows Messenger service notification would pop up, advising me that my PC had been compromised and was set to shut down in 30 seconds. This was, happily, my first exposure to cyber security, but it was an all too common occurrence. So, you Windows XP users out there — and as of March 2016, this means 11% of all computers — do yourselves a favor and check that the firewall is active, and install a third-party firewall just to make sure. And then upgrade. Upgrade to Windows 10 (via Windows 7 Your Best Options for a Windows XP Upgrade to Windows 7 Your Best Options for a Windows XP Upgrade to Windows 7 It's time to let go of the Windows XP and upgrade to a secure operating system. This may be your last chance to upgrade to a relatively familiar Windows 7. We show you how. Read More ) if possible, or even to Linux Why Upgrading from Windows XP to Linux is Easier than You Think Why Upgrading from Windows XP to Linux is Easier than You Think An ideal way to give Linux a try if you're completely new to it and unwilling to invest in new hardware, is to test it out using some PCs. But how easy is it? Read More . Because right now, you’re an easy, live target for hackers. Online gaming is one of the most significant developments in the history of video games, but it is also a potential security risk. Various malware has been developed that targets online gamers, existing on unsecured or recently compromised game servers. While game publishers usually keep on top of security on their servers, it’s always a good idea to have a firewall enabled before you start playing online games. Any attempts by hackers to use their malware to get into your system will be blocked, leaving your system secure. In most cases, the firewall will configure itself based on the requirements of the game, using a profile for the title/software type that is included in the game or available via an update. Note that security suites often ship with “Gaming Mode” or some other similar option pre-installed, which you can take advantage of before launching your favorite game. And if there are problems, you can consult the game’s support pages and edit the firewall application settings. Console gamers can take advantage of hardware firewalls or routers if there is a requirement to edit settings. 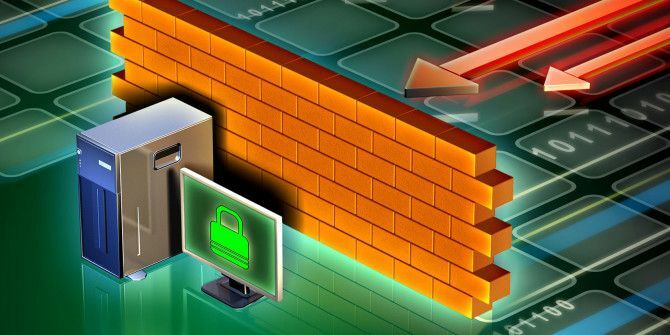 We’ve been talking mainly about blocking hackers and various types of remote access malware so far, but firewalls are capable of more than this. As well as protecting personal directories from ransomware Ransomware Keeps Growing - How Can You Protect Yourself? Ransomware Keeps Growing - How Can You Protect Yourself? Read More , firewall applications might also feature the option to block particular online locations. While this type of blocking is usually found in parental control applications What You Need to Know About Parental Controls for PCs and Tablets What You Need to Know About Parental Controls for PCs and Tablets Your children are old enough to go online? Set up a family safety or parental control app to protect them from the dark side of the Internet. We show you what these tools can do. 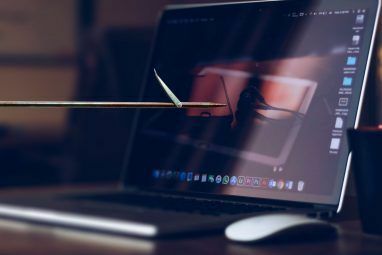 Read More , you’ll find that content filtering comes with some domestic security suites (mirroring the actions of the corporate-focused firewalls), usually in close proximity to the firewall. In the U.K. and parts of the European Union, meanwhile, content blocking might be managed by a third party, typically the ISP. As alluded to above, firewalls don’t necessarily have to be software. Hardware firewalls are found in most homes, built into the router. Accessing these firewalls is possible by using the administrator credentials for the router (make sure you’ve changed the default password 3 Default Passwords You Must Change & Why 3 Default Passwords You Must Change & Why Passwords are inconvenient, but necessary. Many people tend to avoid passwords wherever possible and are happy to use default settings or the same password for all their accounts. This behavior can make your data and... Read More ), and once you’ve signed in you should be able to review the options and change them if necessary. Occasionally you’ll need to make some tweaks, especially for online gaming with a games console. For instance, changing the NAT type on the PlayStation 3 and PlayStation 4 is a common fix to online gaming connectivity issues. Make sure you check the documentation for your router to familiarize yourself with the settings before you start saving any changes! With all of this in mind, it’s worth considering what a firewall cannot do. We’ve already mentioned malware, but this encompasses the whole gamut of Trojans, viruses, worms, etc. While a firewall should block backdoor access via a Trojan, there’s a likelihood that this can be bypassed. But firewalls cannot tackle viruses, worms, keyloggers, and other malware. This is why a firewall must be used in conjunction with an anti-virus tool. These days, the antivirus market is very difficult to navigate, so we suggest you take a look at our recommended list of anti-virus applications — standalone and entire security suites 4 Things to Consider When Buying a Security Suite 4 Things to Consider When Buying a Security Suite McAfee, Kaspersky, Avast, Norton, Panda - all big names in online security. But how do you decide which to choose? Here are some questions you need to ask yourself when purchasing anti-virus software. Read More — and find one that will either complement your existing firewall, or include a new firewall. Do you have questions or uncertainties about firewalls? Have you existed online without using one? Chat in the comments box, I’d love to find out. Explore more about: Computer Security, Firewall, Online Security. Is it a good idea to have the router firewall on with the OS firewall on, or should you have one on and one off? You should leave both of them on. The router is only providing network-level security and the rules it can apply only work at that level. The OS firewall on the other hand is an application-level firewall. Not only can it block packets at the network level if they passed the router, they can also block packets based on the application they are headed to or from which offers a much wider range of control. Because of the overlap, some people have suggested disabling the firewall on routers. This is a huge mistake. Your (protected) computer is not necessarily the only device on the network and all of them deserve protection. You may have a friend who visits and uses their phone while connected to your Wifi. Are you sure he/she is using a firewall on the device? Most IoT devices have crap for security. Do you want to make it that much easier for a hacker to access those devices? Keep the network firewall on and ensure all devices capable of running a software firewall or HIPS have them on as well. I would have said pretty much what Bruce has said. Could you give me some names for good firewall apps ?